The Arizona Cardinals have quite the decision to make with the first pick in the 2019 NFL Draft. 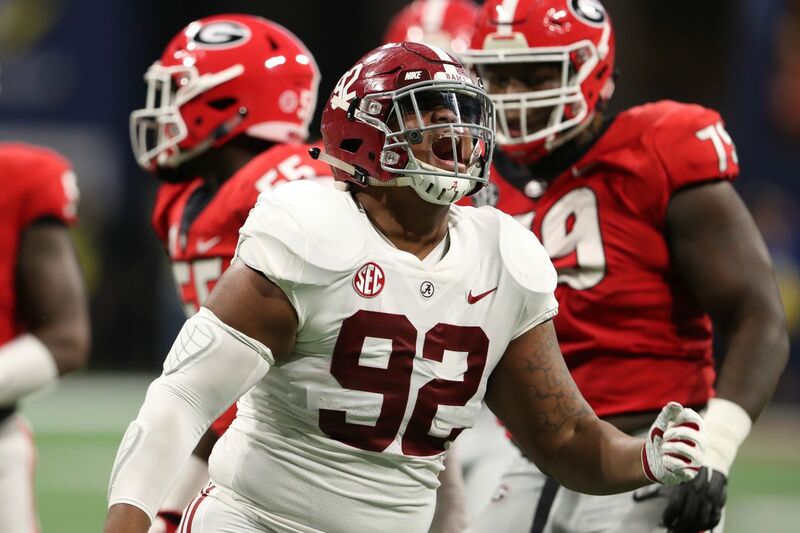 Do they take the best player to many in Nick Bosa, do they take the best quarterback to some in Kyler Murray or do they take the player that could fill the biggest need and also be the best player in the draft in Quinnen Williams? Williams was a redshirt sophomore on the Alabama Crimson Tide’s National Title runner-up team and the force in the middle of the defense. After redshirting in 2016, Williams appeared in all 14 games his freshmen year with the Tide. He didn’t see a ton of snaps, but produced a fair amount when he was on the field, finishing with 6.5 tackles for loss and two sacks. In his redshirt sophomore year he took off, finishing with 18.5 tackles for loss and seven sacks. Williams offers an unusual size/speed combination, weighing over 300 pounds at the combine, running a 4.83 40. He is a similar style and build to Carolina Panthers Pro Bowler Kawann Short. What you love about Williams is his physicality at the point of attack. When he gets his hands on you, its over for opposing offensive linemen. He combines great hands with good feet and an incredible short area burst and change of direction, which is why he could be special over any other aspect of his game. What makes Williams special, what makes him unique and what could make him the first defensive linemen taken first overall in two decades, is the combination of hands, feet, and then awareness. Williams is similar to a number of the defensive tackles the Arizona Cardinals already have in Corey Peters and Darius Philon, but he’s different in one aspect, he’s an every down lineman. He’s a guy who can play 85-95% of the snaps and give the Cardinals something on every down. There are concerns. He’s not a guy who plays over 300 pounds, he can get too engaged with his hands at times and ends up just fighting instead of pushing the play. He’ll have to get used to being double teamed more often and how to use leverage and create piles. However, his ability to win with penetration could put him on the Kawann Short, Gerald McCoy type of spectrum and that would make him a homerun for the Arizona Cardinals. Kyler Murray has “It.” Josh Rosen doesn’t. But what is “It”? The Kyler Murray vs. Josh Rosen debate has taken over the Arizona Cardinals’ offseason. One writer—finally—weighs in. WARNING: Longread. Takeaways from Cardinals Flight Plan Episode 5 What did we learn from the opening OTA’s in the latest episode of Flight Plan? What rapper does DJ Swearinger like and who was that prospect they were scouting?